I was afforded this opportunity because I am part of the BlogPaws Professional Blogger Network. The Alpo dog biscuits were provided by Nestle Purina. Dogs Luv Us and We Luv Them only shares information we feel is relevant to our readers. The opinions in this post are my own. Mom asked me to help her tell you about ALPO's brand new WHOLESOME DOG BISCUITS, so I made this Info board all by myself! Do you like it? Phoebe and I want to tell you about ALPO Wholesome biscuits, the delicious NEW wholesome dog biscuits from Purina's ALPO line of pet food and treats! THEY ARE MADE WITH REAL CHICKEN FLAVOR AND TASTE DELICIOUS! 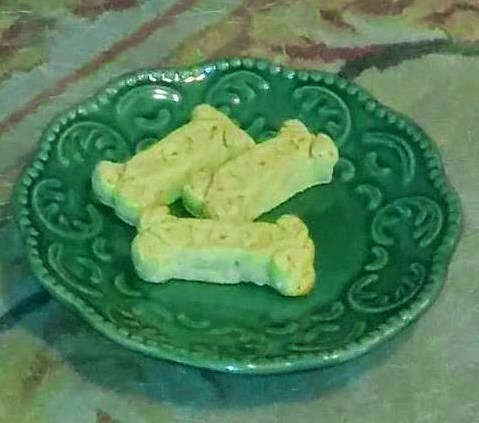 Lots of good stuff is packed into these dog biscuits! Not all dogs are as active and energetic as my girl Isis. Although she was named after the mythological goddess Isis, and she IS quite the diva, she's also a typical Husky. Isis is a strong, athletic dog who loves to hit the trail. She RUNS, JUMPS, and never seems to get tired! We do a lot of hiking with her, sometimes over rough terrain. 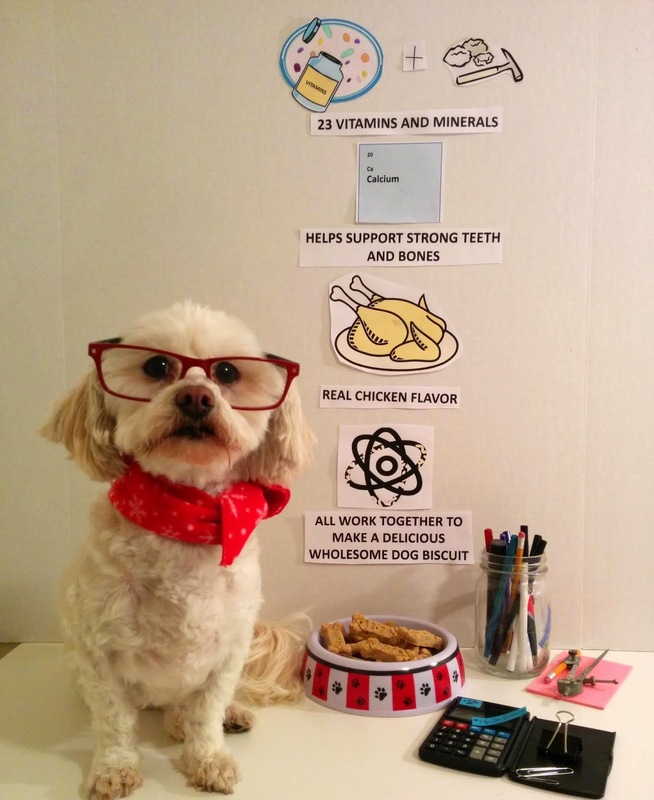 I really like the fact that ALPO Wholesome biscuits contain healthy vitamins, as well as calcium to help support her strong hard working bones. I gave Isis a well deserved ALPO Wholesome Dog Biscuit after hiking all the way up to the top of the mountain! I'm always training my dogs to re-enforce critical obedience commands such as their Emergency Recall, Wait, and Leave It! commands. I also like to do simple tricks with them to keep them mentally stimulated and have some fun bonding time together. I use treats, their favorite form of reward while training. I look for treats that consistently motivate them and that contain healthy ingredients. ALPO Wholesome Dog Biscuits do just that! Very good Down/Stay Phoebe! You deserve an ALPO Wholesome Biscuit for that! The Purina company and their line of ALPO pet food products have been around for decades, I know I can trust their products. I like that their pet food and treats are made right here in the U.S. They source grain from Georgia, wheat and corn from the Midwest, and their meat facilities are U.S.D.A. certified. The thing I like most about Purina is that they donate millions of dollars to pet welfare organizations across the country! It's important to me that the products I buy come from companies who give back to the community. ALPO makes their Wholesome Dog Biscuits for dogs of all sizes. At 50 lbs. Isis is a larger dog, but at 12 lbs. Phoebe is much smaller. ALPO Wholesome Biscuits come in Small, Medium, and Large sized biscuits. Alpo Wholesome Biscuits come in 3 sizes; Small, Medium, and Large. You can easily pick them up while you're grocery shopping! 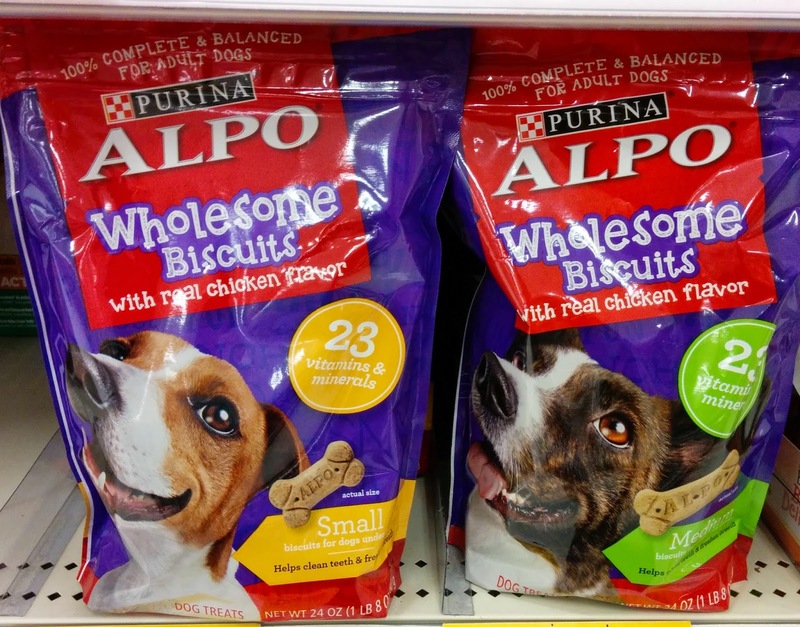 The new ALPO Wholesome Biscuits are available on grocery store shelves now. You can pick them up while you're grocery shopping, so you don't need to make that extra trip to the pet store. And, they're very affordable. I like that a lot! Phoebe isn't that picky about her treats, but Isis is extremely picky about both food and treats. 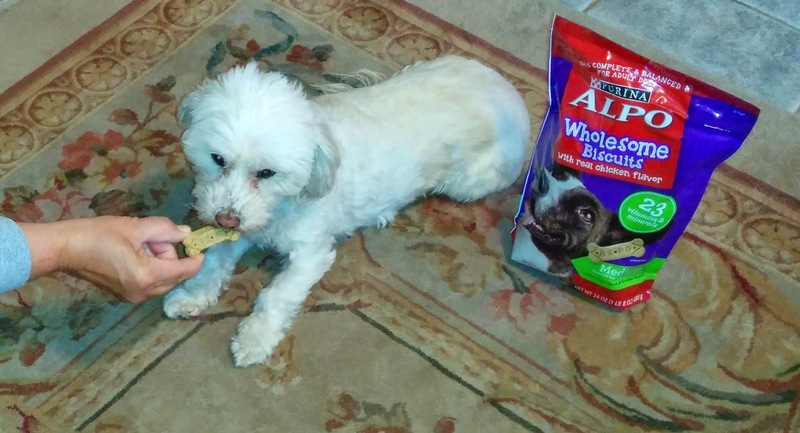 I was happy to see that both my dogs loved ALPO Wholesome Dog Biscuits! Have your dogs tried ALPO's new Wholesome Dog Biscuits yet? Those biscuits sure look yummy. They are, both my dogs LOVE them! Thanks for visiting the blog, Lily & Edward! They apparently are very tasty, both my dogs love them! Thanks for visiting the blog, it's so nice to meet you Abby! I don't know, they like 'em so much they may not want to share! I'll try to sneak you a few though. Thanks for visiting us on the blog Kimberly! Oh these do sound great!!! I will have to check out their site for sure! I just loved your review, and Phoebe looks absolutely adorable in glasses! Thanks for introducing us to a product we haven't tried yet! BTW, that mountain photo is gorgeous! 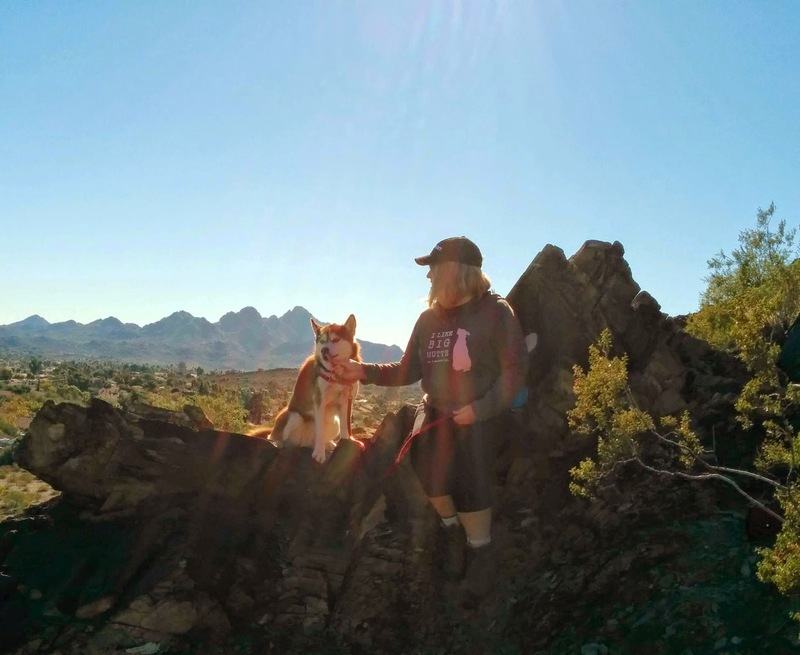 I would give anything to be able to take my huskies hiking in the mountains! Thanks so much for the kind words, Jenna! I was really glad to find a new biscuit both dogs love. Glad you like the pics, Phoebe looks so cute in her glasses. Thanks for stopping by! Yes, it's really a great treat. Lots of healthy ingredients in these biscuits & the dogs love them so I'm happy! Phoebe says thank you for the nice compliments, she worked very hard on her info board! Of course they do! What doesn't go good w/ Margaritas! LOL! Thanks for stopping by Ruby! Max loves those too! Lucky doggies! Yes, good stuff inside & delicious. What more could a doggie want?! Thanks for stopping by! A Fabulous Must Read for Dog Lovers! FUN At The Holiday Pet Festival!